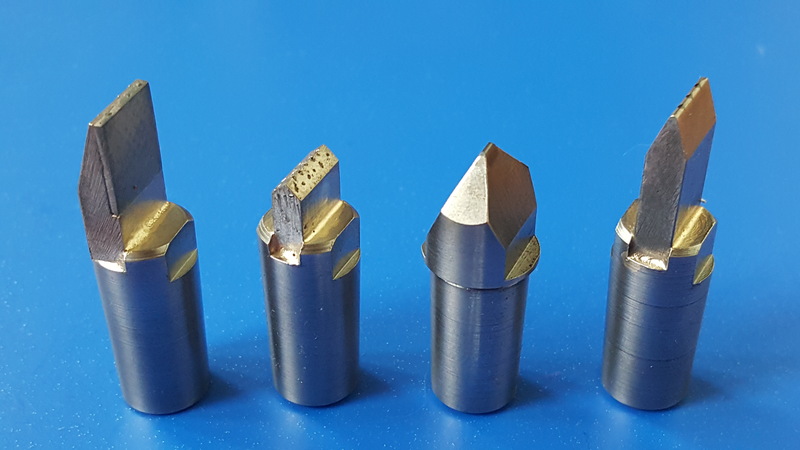 These accurate profile tools have one log set on center and has either a 0.250mm or 0.5mm lapped radius with tables top and bottom for dressing shapes and contours into grinding wheels. Log size are 1.2mm x 3mm x 4mm. 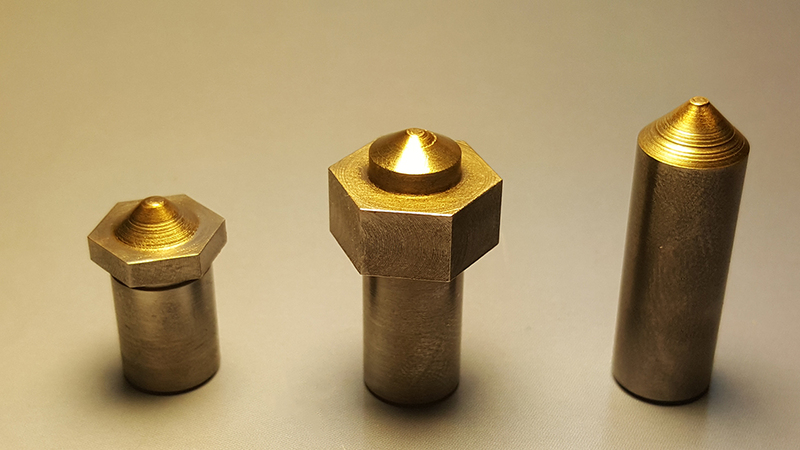 Radii, angles, shanks/holders can be manufactured to customers specifications. Those tools are serviceable and we offer a full re-lap/ regrind sarvice. We offer precision-engineered, hot-press matrix, standard and high performance impregnated Dressers that are made from crushed Diamond Grit available in natural and synthetic grades. 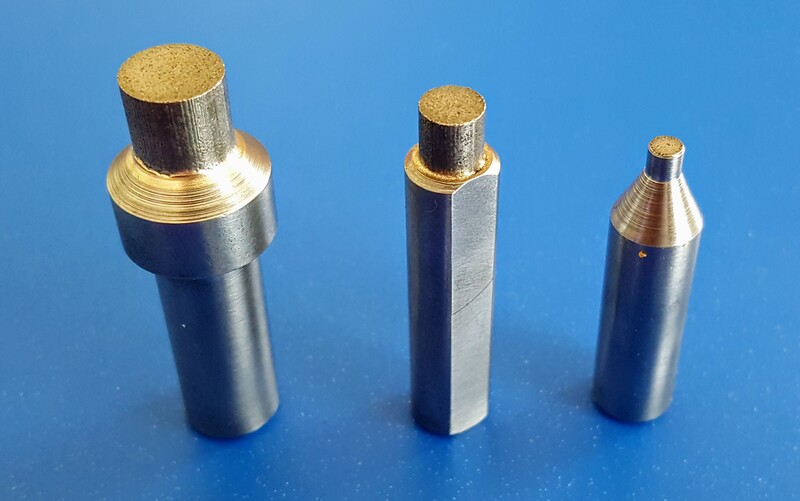 We can produce all shapes and sizes in different bond hardness, Diamond concentrations, and Diamond grein sizes for true ingredients conventional, abrasive, and CBN wheels. With the use of our impregnated dressing tools, dressing time can be split drastically and your satisfaction is guaranteed! 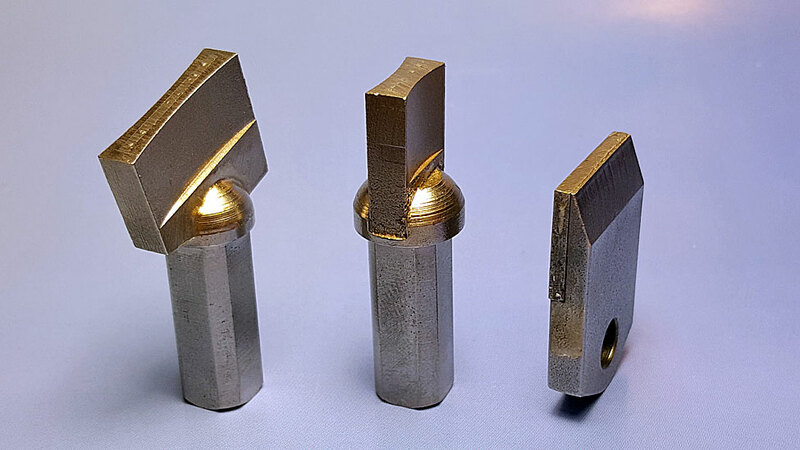 The diamond-impregnated tools can be designed to accommodate our clients’ specifications. 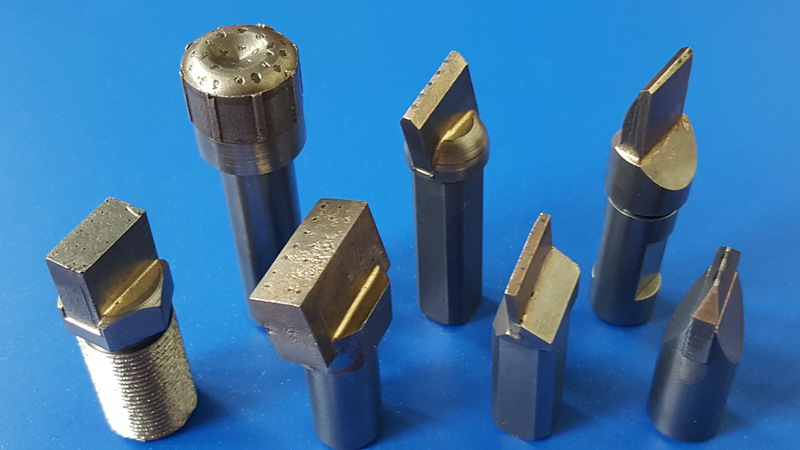 Our Clusters are to use instead of large karat weight single point tools for straight-face dressing wide-faced wheels on centerless and Cylindrical grinders. 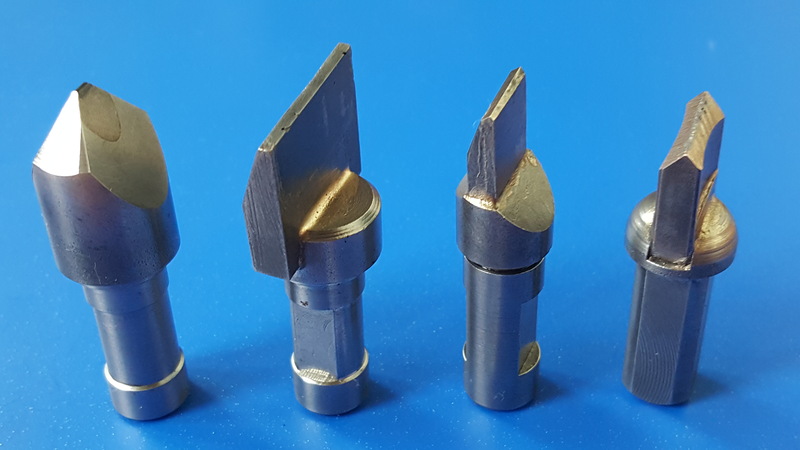 Shank/Holders manufactured to customers specifications. 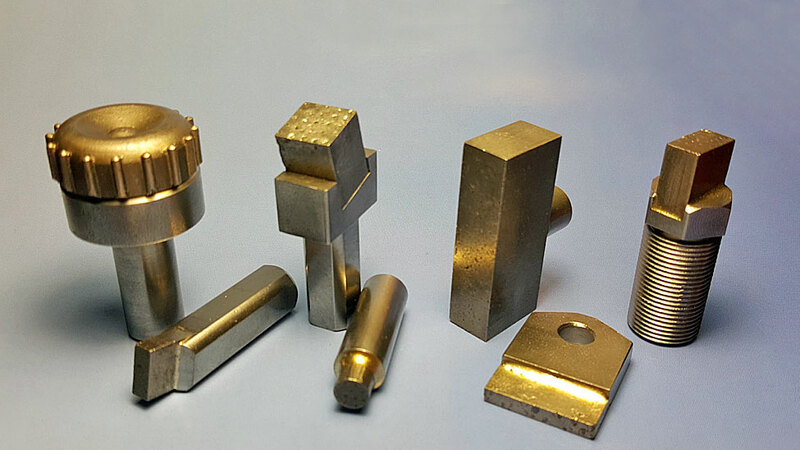 With the consistent characteristics like size and shape of synthetic diamond logs, the trend is growing to decrease variation in quality. 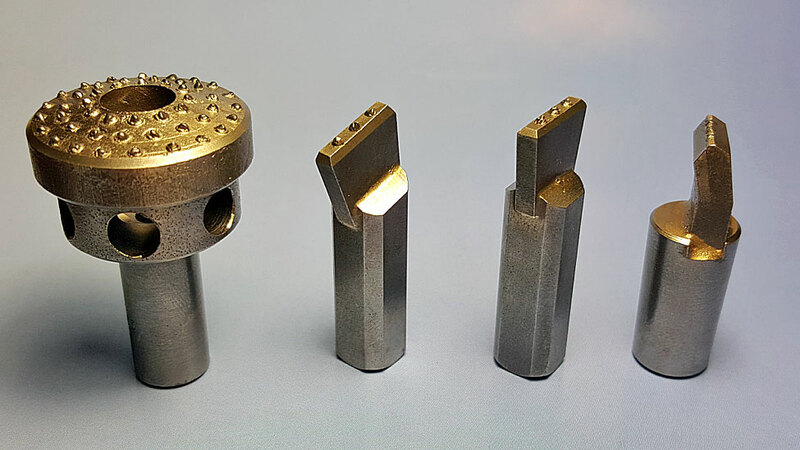 The constant cross section provided by the synthetic diamond guarantees the same level of tension during the usage of the dressing tools. CVD Single point wheel dresser. We offer precision-engineered, hot-press matrix, standard and high performance impregnated Dressers that are made from crushed Natural Diamond 100-120 grit. 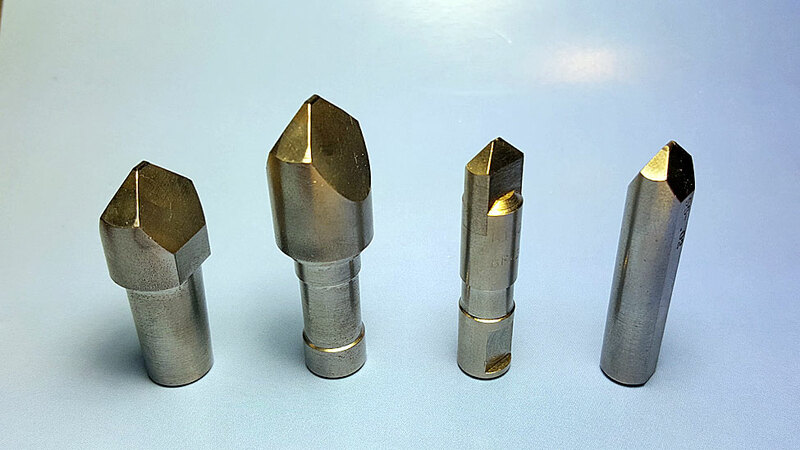 We can produce all shapes and sizes in different bond hardness, Diamond concentrations, and Diamond grein sizes for trueing CBN wheels. With the use of our impregnated dressing tools, dressing time can be split drastically and your satisfaction is guaranteed! 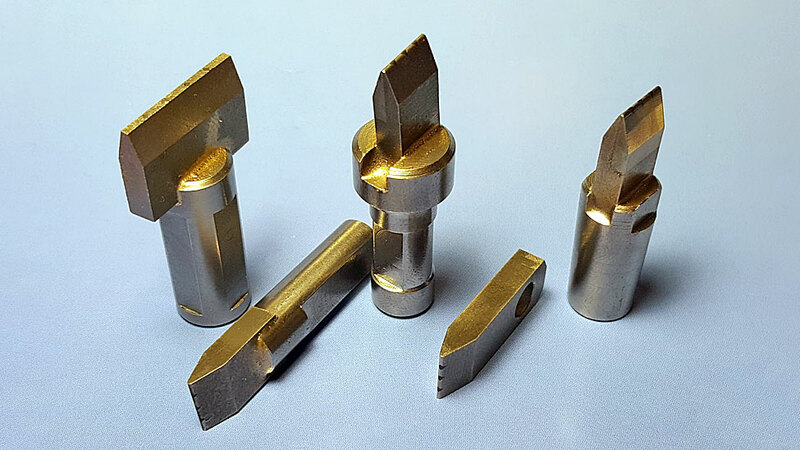 The diamond-impregnated tools can be designed to accommodate our clients’ specifications.